Individual leasing means peace of mind for you. Your financial responsibility is only for your student’s space unlike many apartments or rental houses where a joint lease is signed. If a roommate transfers to another school or moves out of The Gates at Valdosta for any reason, you do not have to worry about having to cover their portion of rent. 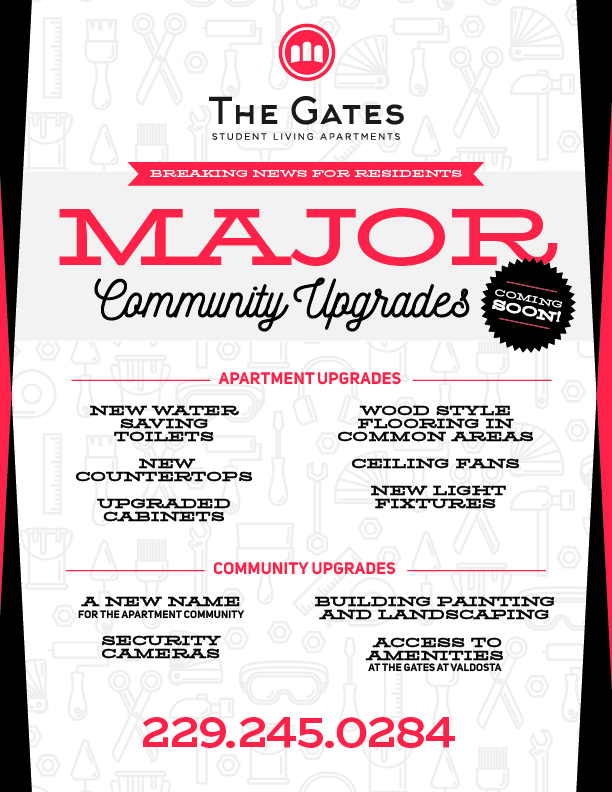 This is just another reason why The Gates at Valdosta is your student’s best housing option!